I am Simona and I am a professional ballet dancer in between contracts. I am a very professional, reliable and responsable person also very fit and active and I love walking . I absolutely adore dogs and I will give them loats of love, care and fun. I have owned a dog for about 15 years unfortunatelly he passed away 3 years ago. 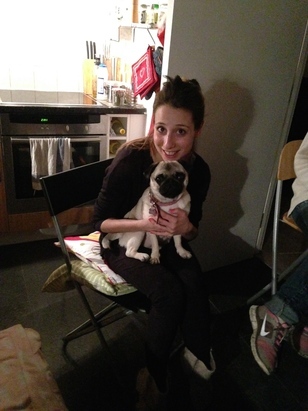 Also I looked after my wn family's dog all my life so I am very confortable with them. I live by the Regents Canal in East London, I am very close to Stonebridge Gardens, Haggerston Park, and London Fields Park. My flat is very spacious and I also have a good size balcony. Please do not heasitate to contact me if you have any questions!